Joseph Francis Rummel (1876-1964) was Archbishop of New Orleans from 1935 until his death on 8-November-1964. He shepherded the Church in New Orleans through the turbulent years of school integration and the Civil Rights Movement. Rummel integrated Notre Dame Seminary by allowing two black men to study for the priesthood there in 1948, and allowed the Josephite Fathers to open St. Augustine High School, dedicated to educating young black men, in 1951. He ordered desegregation in all Catholic churches in the archdiocese in 1953. In 1960, he tackled the issue of segregated parish elementary schools. Rummel didn’t even have a firm plan on how to implement desegregation in 1960. Still, white Catholics were incensed at even the mention of integrating schools. He ignored these protests and moved forward, announcing a desegregation plan for the Fall of 1962. 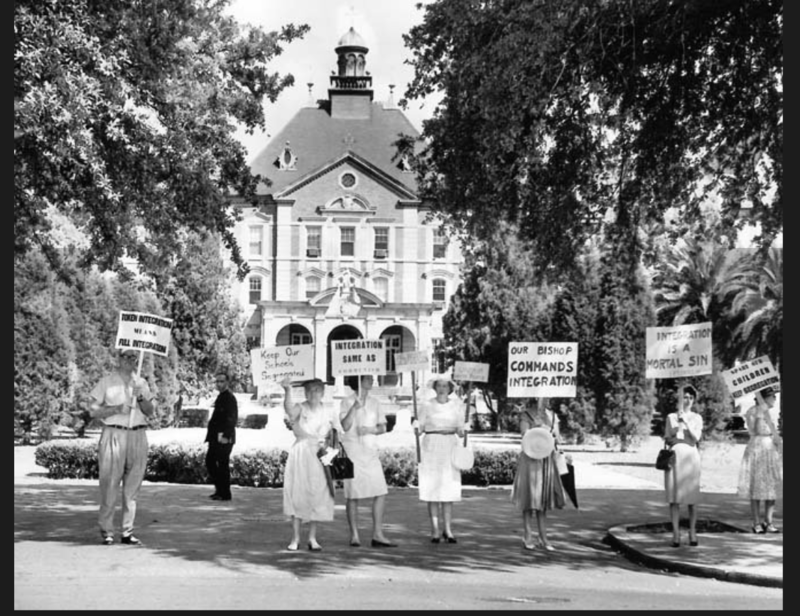 The segregationists were out in force in September of 1962, at multiple schools. The folks at St. Rose de Lima weren’t as informed about what was going on with the Archdiocese. The sign in the background says “Go back North Big John”. That’s problematic for two reasons: First, Rummel’s first name was Joseph, and second, he was Bishop of Omaha prior to coming to New Orleans, and had been here for twenty-seven years at that time. 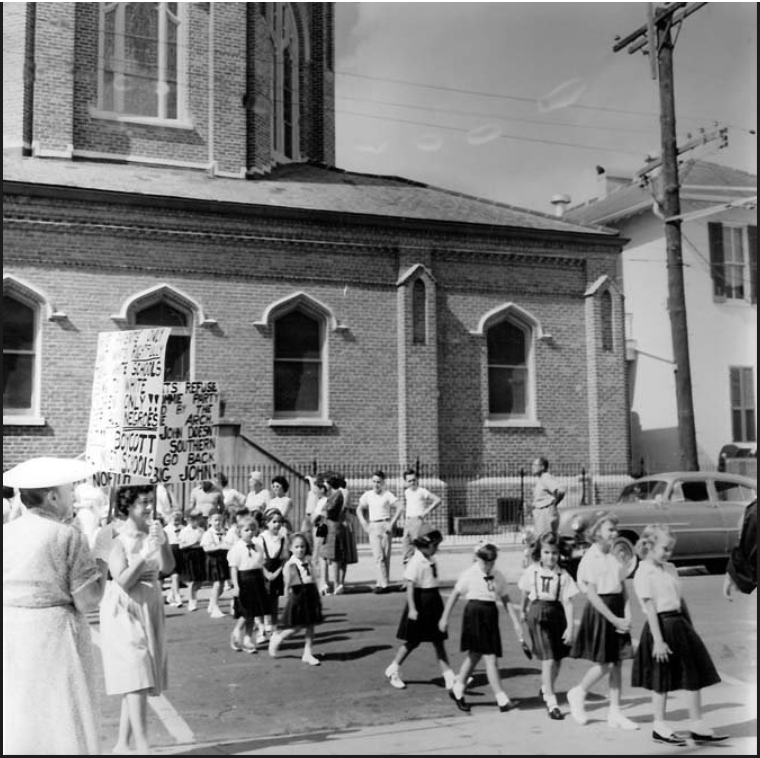 While the policy of the Archdiocese clearly prohibits segregation, “white flight” to the suburbs ensured that most of the schools administered by the Archdiocese to this day are still segregated. Because of his long tenure, Archbishop Rummel made a major impact on the city. Remind me to tell you the story about how the school that bears his name was almost run by the Brothers of the Sacred Heart sometime. Archbishop Rummel is one of the Legendary Locals of New Orleans.